Award-winning Scottish photographer Simon Murphy travelled to Bangladesh to the Kutupalong refugee camp last December to witness SCIAF’s work with Caritas Bangladesh, helping some of the most vulnerable refugees. 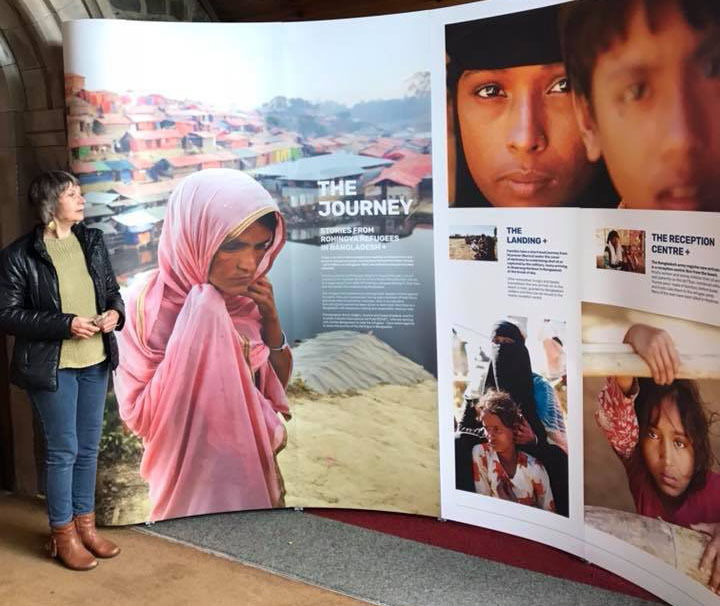 Simon, Justice and Peace Scotland and SCIAF have now come together to share the images, stories and journey of the Rohingya from the genocide in their native Myanmar to their exile in the refugee camp in Bangladesh. This moving photographic exhibition is currently at St Margaret’s in Lochgilphead until Wednesday, September 19. Marian Pallister, vice chair of Justice & Peace Scotland, who represents both Justice and Peace Scotland and SCIAF in our diocese, will then take the exhibition to Our Holy Redeemer in Stornoway for September 22 and 23, and then on to St Columba’s Cathedral in Oban from September 24 until October 9. The exhibition has already been seen in Galloway, Aberdeen and Glasgow and will go on to Edinburgh after Oban. Pope Francis, who visited Myanmar and Bangladesh, has called on us all not the ‘extinguish the hope’ in the hearts of refugees. We can help the Rohingya refugees by donating to SCIAF and adding our voices to Justice and Peace’s campaign on behalf of all refugees and migrants ( see https://www.facebook.com/justiceandpeacescotland/?ref=br_rs and our own Justice and Peace Argyll & the Isles Facebook page).